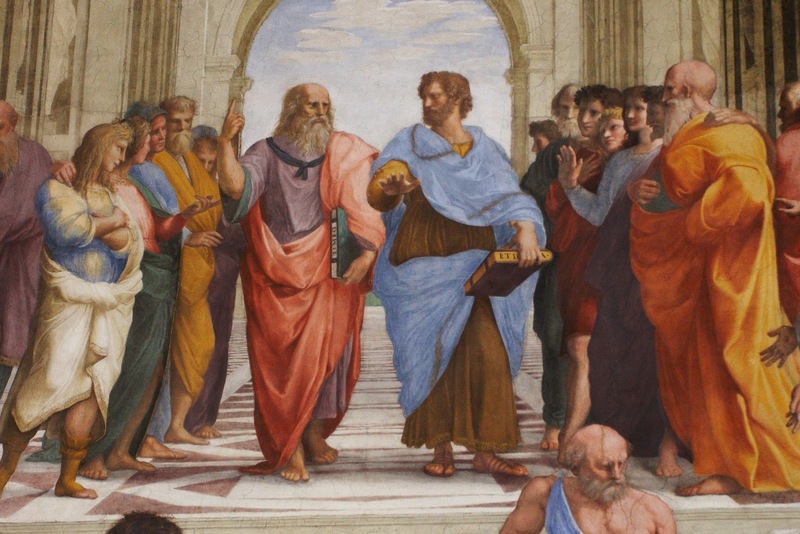 Let's talk about Aristotle for a minute. School of Athens Aristotle is the one in blue. But really this quote is from someone summarizing Aristotle. It's a great summary and it seems to say what Aristotle means, just more concisely. Ok, so what does this have to do with grad school? Well lots of people are starting grad school right now with lots of potential. Tons of potential probably, it's what got them into grad school in the first place. But here's the thing, your potential doesn't mean anything unless you live up to it (or at least come close). Basically Aristotle says that your feelings and intentions and capabilities do not make you excellent, your actions do. Make Imposter Syndrome work in your favor. Imposter Syndrome is when someone thinks 'I'm not good enough to be where I am, and I'm just minutes away from the moment my colleagues find out' and it is apparently a plague of many grad students and there are plenty of blog posts around on how to combat it. Pretending to be what you want to be is actually a completely valid and useful way to become what you want to be. This doesn't mean go into class and pretend you are the professor (that's not a good idea). It means go into class and pretend you are the BEST student in that class. So go put on those 'smart person clothes' and make believe that you are the best student that school has ever seen. If you run into a dilemma think to yourself 'what would an excellent grad student do in this situation?' or better yet think 'what would an excellent scientist do in this situation?' and then do that thing. So true! Talk is so easily substituted for action in America (and probably elsewhere) that people get fooled into thinking they can just say they are something and that makes them that something. You see it all the time in reality TV singing competitions. But those people get up to sing and become a national laughing stock because they actually are not good singers at all. Their actions did not back up their words. They pretended to be good singers when actually they should have gone to a vocal coach and pretended to be an excellent voice student instead.